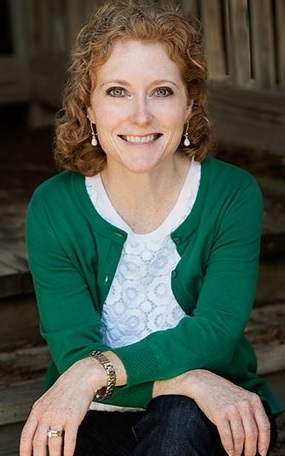 Signe Whitson is an author, international educator on Bullying Prevention, and Director of Counseling at The Swain School in Pennsylvania. In her articles, books, and workshops, Signe provides down-to-earth, practical advice for navigating the daily challenges of living and working with children, tweens and teens. As a mother of two daughters, Signe relates to parents on a personal level. She is also the Chief Operating Officer of the Life Space Crisis Intervention Institute, an international training and certification program for turning crisis situations into learning opportunities for children and youth with chronic patterns of self-defeating behaviors. 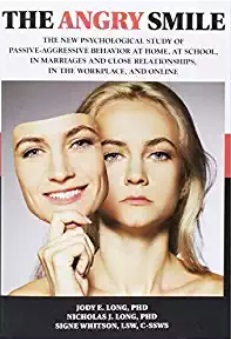 • The Angry Smile: The New Psychological Study of Passive-Aggressive Behavior at Home, at School, in Marriage & Close Relationships, in the Workplace, and Online. Since I was young, I could always count on having the perfect response or comeback…ten minutes after it was needed in a situation. As a writer, on the other hand, I’m better able to collect my thoughts and present them in-the-moment. I can’t say I love writing, but I do love having written and think I am most effective when I use the written word to share knowledge, insights, and strategies for helping young people cope with conflict, manage anger, and solve social problems. Or maybe compassion, empathy, and a determination to look beyond surface behavior and aim to understand the thoughts and feelings that underlie a young person’s actions. My work is centered on helping professionals and parents understand the most effective ways to genuinely connect with young people and to use these connections to bring about positive, long-term changes in the social, emotional, and behavioral health of young people. Teaching adults to look beyond disruptive or disrespectful surface behaviors and see the real needs of each child is the foundation of my training and writing. As a Director of Counseling at a PS-school, I have the best job in the world--getting to reach, teach, embolden and empower amazing young people every day. Professionally, I count my greatest successes as anytime I’ve been able to help professionals connect with kids and understand that kids who are “hard to love” are the kids who need love the most. Personally, my most prized and precious success-in-progress is raising my two beloved daughters. I hope I can guide them in ways that are worthy of their potential for being kind, healthy, happy, creative, productive, joyful human beings. Professionally, my most challenging moments come when I see that a student and his/her teacher are not a good fit for one another. While I understand that conflict arises in all human relationships, it’s super-troubling to me to see a young person put in no-win, one-down, spirit-squashing situation. I will always advocate for a child’s needs and try to help professionals find the flexibility they need to meet the academic, social and emotional needs of all of their students. I love traveling to places that I’ve never been before and spending time getting to know new towns. I went to Costa Rica when I was 16 and have always wanted to go back. I spent half a year in Seville, Spain when I was 19 and can’t wait to return. I lived in New Orleans when I was 22 and 23 and make a point of going back as often as possible. I dream of getting to spend an entire summer in Maine…and maybe wintering in the desert Southwest. And I love, love, love the mountains, whether in warm weather or cold. Asics running shoes, fleece anything, my smartphone, my Mazda Miata convertible for its power to make me feel 25 again, and my skiis! I’ve covered most of them: my daughters, most importantly. Coffee, red wine, running in the warm weather and skiing in the cold. Being a champion for children and helping young people find their voices to stand up for themselves and others.